At JVIB we pride ourselves in providing professional service and choose to reflect this in the affiliations we utilise. The network generated $4.3 billion in insurance sales in the 2013 financial year. As you can imagine, this provides the group with enormous buying power, flexibility and influence when negotiating with insurers. They support all of their members by providing a comprehensive suite of ongoing education programs and support services, including business and compliance support and customer service tools. So whether it’s insurance for home, car, boat, small or large business, you can be assured that The Steadfast Group Limited has access to a broad choice of insurance products, exclusively built policies, at a competitive price as well as a unique claims escalation process. By being part of this group, it supports the goals of our brokerage and allows us to provide an exceptional standard of service to all of our clientele whilst still maintaining the independence of being our own local brokerage office. The Institute’s commitment to providing relevant, high quality qualifications and education programs is underpinned by its role in partnering the industry and its members in the pursuit of professional excellence and business success. The Australian and New Zealand Institute of Insurance and Finance (ANZIIF) is the leading provider of education, training and professional development services to the insurance and financial services industry in Australia, New Zealand and the Asia Pacific region. The Institute has been around for over 120 years in one form or another, making it one of the oldest and most respected professional associations in the region. JVIB utilises the services provided by ANZIIF to achieve and maintain their insurance qualifications and several of our broking team are ANZIIF (Senior Associate), Certified Insurance Professional members. NIBA is the national voice of insurance brokers and an advocate for insurance consumers. Their members are recognised as having attained a high standard of professionalism and knowledge through ongoing educational support and technical development. NIBA represents qualified Practicing Insurance Brokers. Joe Vella, managing director of JVIB, is a member of NIBA and has been a Qualified Practising Insurance Broker (QPIB) since 1980. 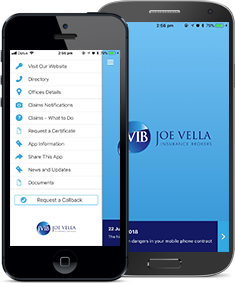 Joe Vella Insurance Brokers are members of the Council of Queensland Insurance Brokers (CQIB) which is a professional association who plays a fundamental role in the Australian Insurance Industry. It was founded in 1980 and now represents over 60 Insurance Brokerages in Queensland.CQIB are dedicated to ensuring that their members provide informed advice on all insurance matters and maintain a great level of professionalism through the sharing of knowledge and information. They run regular insurance training courses and conventions which the JVIB team participate in better enabling us to meet all our customer’s needs. The Australian Financial Complaints Authority or ‘AFCA’ is a new external dispute resolution (EDR) scheme to deal with complaints from consumers involving financial services and products. It will be operated by a not-for-profit company limited by guarantee authorised by the Minister for Revenue and Financial Services (Minister). The AFCA replaces the three existing External Dispute Resolution (EDR) schemes of the Financial Ombudsman Service Australia (FOS), the Credit and Investments Ombudsman (CIO) and Superannuation Complaints Tribunal (SCT) so that consumers have access to a single EDR scheme. JVIB is a member of the AFCA and uses the AFCA as our EDR process. The AFCA is a free service to consumers. Clients wishing to use the AFCA to resolve a dispute with JVIB should have exhausted all avenues to resolve the matter directly with JVIB before contacting the AFCA. Should a JVIB client be unable to resolve an issue directly with their JVIB broker, they should raise the matter with the JVIB Complaints Officer, who is the group General Manager, Col Craig. 26th North is a specialist division of Joe Vella Insurance Brokers. It was established when Managing Director, Joe Vella, realised that there was a dwindling number of insurance products available to larger commercial properties above the 26th Parallel. This division is now able to provide insurance solutions for these commercial property risks in the Northern parts of Australia. Their philosophy is to selectively write suitably rated and surveyed properties for a suitably rated price. Joe Vella was born in Malta. In addition to his personal charter with community services he had for a long time been interested in providing some form of community service to the Maltese of Australia (including inbound).The Maltese migrant community in Australia, the largest outside Malta, has contributed greatly to the development of a multicultural Australia. This important connection is supported by bilateral agreements covering social security, double taxation, health services, air services and a working holiday maker scheme. Trade and investment, and cooperation in education, are further dimensions to this relationship.The Maltese High Commissioner in conjunction with Warren Entsch, Federal Member for Leichardt, invited Joe to be bestowed with the position of “Honorary Consul Queensland” and he was inducted by the Prime Minister of Malta, Lawrence Gonzi, on the 18th July 2008.As an Honorary Consul Joe is able to conduct the coordination of dual citizenship, passport applications and/or renewals. He is also able to make diplomatic enquiries pertaining to Maltese born descendants. JVIB is a member of the Cairns Chamber of Commerce. This is one of the leading business organisations in Cairns, established for over 100 years and a representative of the local business community. Cairns Chamber plays a key role in assisting the local business community resolve regional development issues through economic lobbying and representation. Another key activity of the Chamber includes mentoring businesses and connecting them to appropriate contacts. They also provide migration assistance for businesses through its role as a Regional Certifying Body for the Department of Immigration & Citizenship. Cairns Chamber of Commerce is a membership based, not-for-profit organisation. With over 640 member businesses from various industries it is an important stabilising force which ensures prosperous and integrated economic growth within the local business community. To make a donation, pleas go to the website. Established in 1980, Make-A-Wish Australia has enriched the lives of children and granted over 8,000 wishes to those with life-threatening medical conditions through its wish-granting work. It has become one of the world’s most well known charities and has a network of nearly 25,000 volunteers. As the foundation continues to mature, its mission will ream steadfast. Wish children of the past, present and future will have the opportunity to share the power of a wish.Joe Vella, Managing Director of JVIB, is the North Queensland Chairman for the Make-A-Wish Australia, and has held this position for over 10 years. JVIB staff are also encouraged to become a part of the wish team and Lee Mounsey has also been involved with helping to grant wishes to local children.